Even if you don't have an Xbox you can still make use of the Xbox 360 SmartGlass app on your Windows phone. Install the 360 version of the Smartglass app, the version for Xbox one doesn't have this functionality. After installation you can search for movies and TV shows. 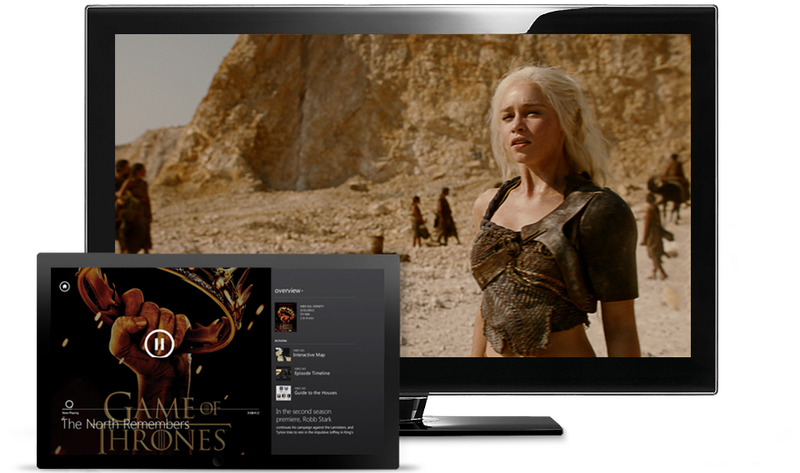 Xbox Smartglass will show you where the movie or tv show is available, Netflix, Amazon, Xbox etc. It's a bit easier than doing this in IMDB which has similar functionality. You also get a cast list and a list of movies each cast member has appeared in.